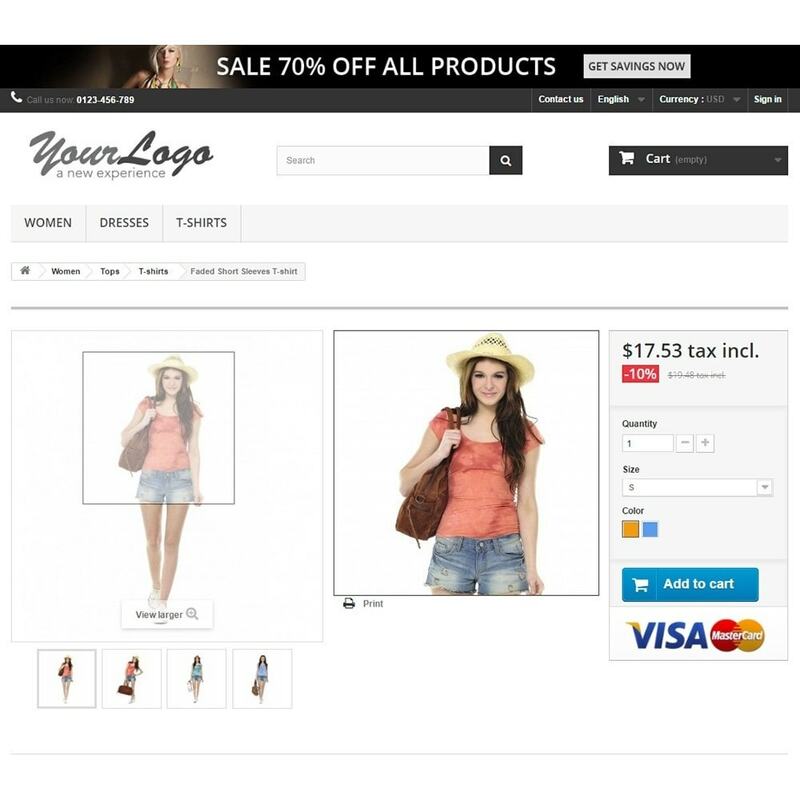 It allows customers to enlarge the image by simply hovering the mouse over it. It features three Zoom types: inner, lens & window. 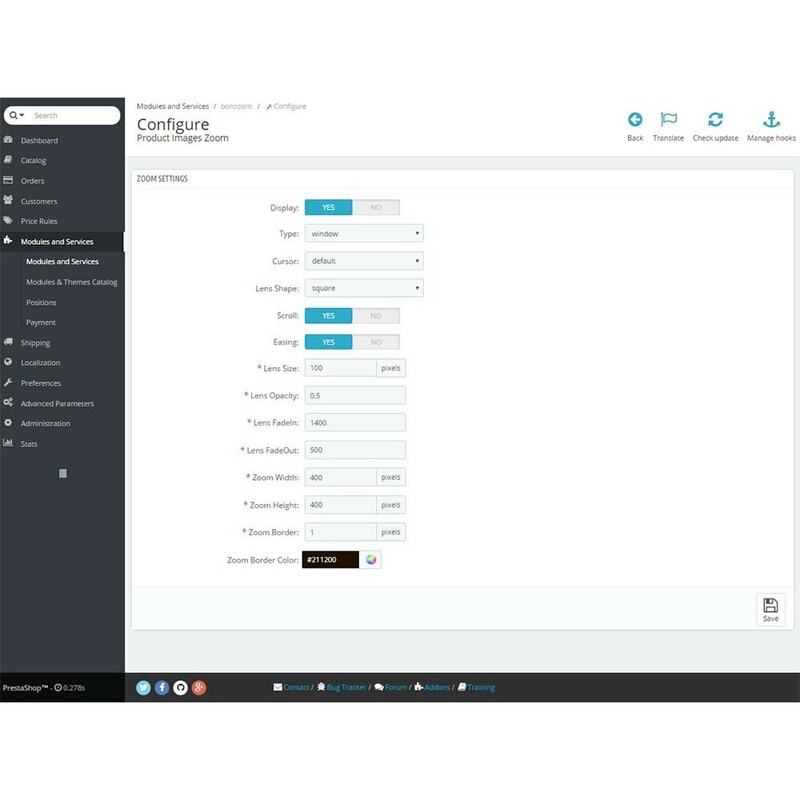 The plugin comes with advance setting panel to change the ways it works in the front end like cursor type, lens shape, lens color, lens border, zoom window width, height, color & border, fade-in speed, fade-out speed, and much more. 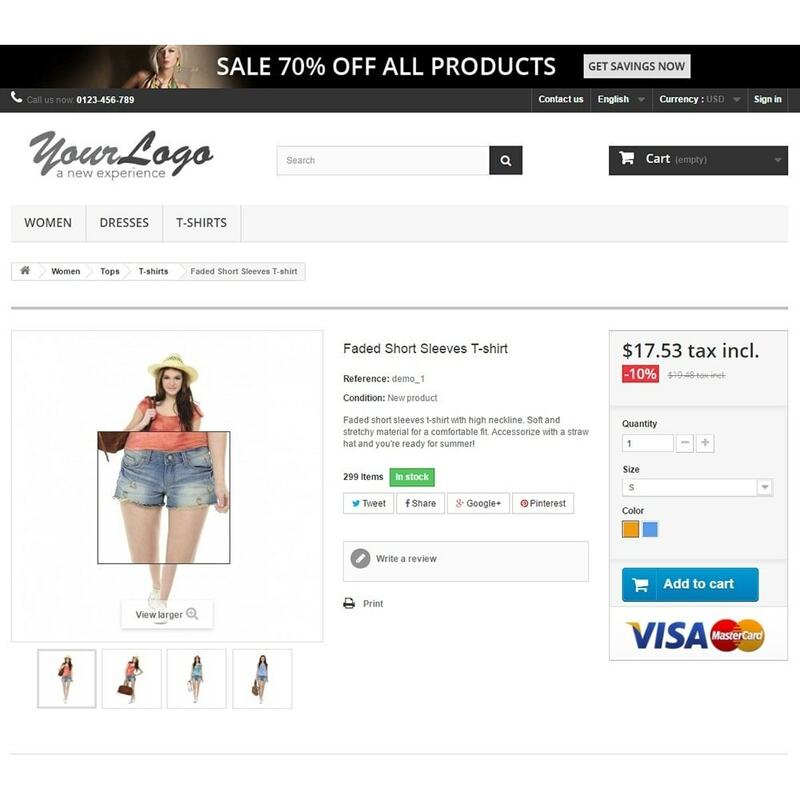 Zoom product images on product page. Zoom types : window, lens, inner. Square and round lens shapes. Custom size for zoom window. Choose width and height of the zoom. Works well with attributes and galleries. 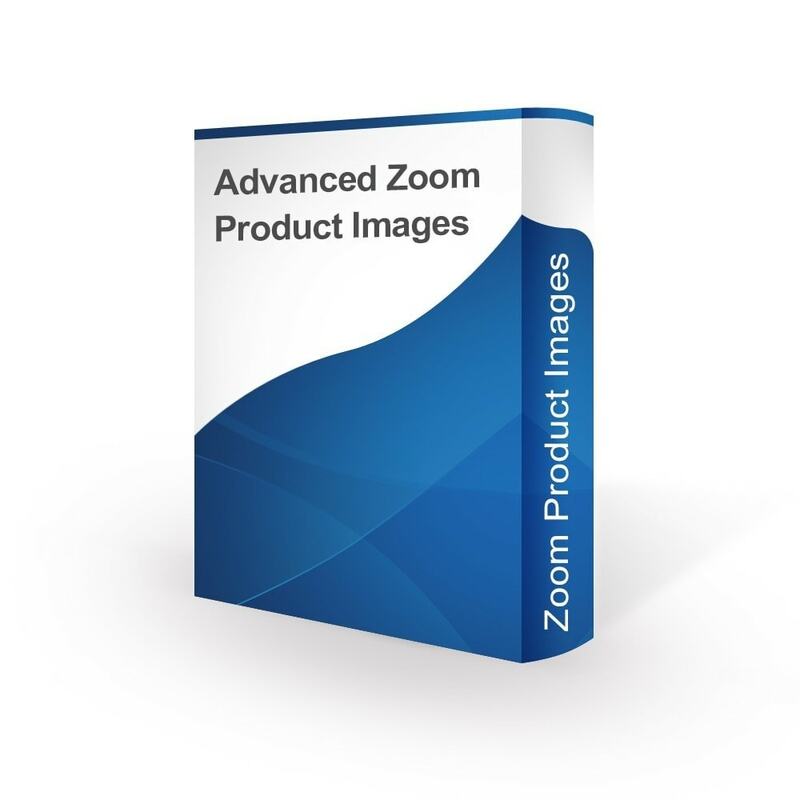 This easy at installation and flexible at configuration module allows you to create attractive Zoom Product Images in a couple of minutes!